It’s early days yet but economists agree that Brexit has upped the odds for the Reserve Bank to cut the OCR in August. There has been a lot of news around Brexit and how it may affect the New Zealand economy. In my humble opinion the truth is nobody really knows what affect (if any) the exit of the UK from the EU might have on our or the world’s economy. The best advice I can give is contact Advanced Mortgage Solutions if you feel the time is right for you to take advantage of record low interest rates. I am not saying interest rates are about to go up, but I am saying there is a little uncertainty out in the market place. Typically, in times of uncertainty the cost of funds (the price the banks purchase money) go up as the cash wholesalers around the world build in a little buffer to protect themselves. It is predicted this may happen if the uncertainty continues, however it is also predicted that (largely) this should only be a flash in the pan as the full impact of the UK’s exit is fully understood and digested. Please find an article below courtesy of mortgagerate.co.nz around their thoughts on Brexit and the affect it could have on the New Zealand economy. News that the UK has voted for Brexit has shocked commentators and rocked financial markets globally. Investors and KiwiSavers are being urged not to panic, but what could Brexit mean for New Zealand’s interest rates? While economists warn it is far too soon to tell what the broader financial impacts might be, most are united in the view that an OCR cut in August is now much more likely. ASB economist Daniel Snowden said the US Federal Reserve may now pause for thought on its next rate hike and, instead of potentially moving in July, it may wait till later in the year. Doing so would keep the NZD elevated against the USD for longer and increase the pressure on the Reserve Bank to cut again in August. “This reinforces our view of a 25bp rate cut in August, followed by a final cut to 1.75% in November,” he said. “Prior to the Brexit vote, we had become less confident of the second cut. The Reserve Bank cut the OCR in March for two main reasons, BNZ senior economist Craig Ebert said. They were falling inflation expectations and worries about the world economy amid market turmoil at the time. Ebert said that, to date, currency has not done its job as a monetary buffer to global risk and, for this reason, the Brexit vote must increase the odds of the Reserve Bank easing the OCR further. “We already forecast two more OCR cuts from the RBNZ – partly premised on global risks. New Zealand’s relative economic strength should serve it well through the current period of uncertainty. ANZ chief economist Cameron Bagrie said New Zealand has excellent momentum, which is a big difference from prior to the Asian crisis and GFC when the economy was already losing speed. “We believe the domestic growth impact will be minor, although it is certainly a moving feast. However, while the odds are on for further OCR easing in the near future, that may not necessarily translate into lower mortgage rates. Westpac chief economist Dominick Stephens agreed that Brexit has upped the chances of an August rate cut from the Reserve Bank. In his view, this means that although two-year swap rates are falling, mortgage rates and business lending rates are unlikely to fall as far or may not fall at all. Last month we welcomed Jo Henderson to the team as Office Manager – a role previously undertaken by Lauren Timblick. Lauren is now working for herself and we wish her all the best in her new venture. Jo has worked within the banking sector for over 20 years. The last 10 years in a Senior Lending position with SBS bank. With a wealth of financial banking knowledge and a strong understanding of the entire mortgage application process. Jo will happily guide you through what can seem to some a daunting process. Jo is thrilled to be working alongside Scott and his team, she will assist in making your dream of home ownership a reality. Outside of work Jo is married and has two adult boys and two grandchildren. Jo has a passion for travel and the next great adventure is never too far away. After 3 and a bit years of working at Advanced Mortgage Solutions I am moving on to concentrate on other endeavours (i.e. my new online store). I have enjoyed assisting you with your home loans and interest rates and will miss the fun times I have had beating up the banks on your behalf. I may pop in from time to time, so may talk to you again in the future. Auckland house prices are showing no signs of stabilising – March saw a 9% rise in Auckland’s raw median house price. We are now seeing Hamilton, Tauranga and as far away as Wellington and Dunedin grabbing the attention with Corelogic reporting a rising percentage of sales in provincial cities are going to Auckland buyers, mostly buying rental properties. All this heat in the property market is putting the Reserve Bank in a difficult position. Its main task is to target inflation at between 1-3% over the medium term, but it is failing to do that. Annual inflation was 0.4% in the March quarter and has been below 1% for six quarters in a row. Inflation has been below the 2% mid-point specified in Reserve Bank Governor Graeme Wheeler’s Policy Targets Agreement with Finance Minister Bill English for more than four and a half years. That’s uncomfortably close to the medium term. However, the Reserve Bank is also tasked with monitoring asset prices and keeping the financial system stable. It has been worried enough about the risks to financial stability from a possible fall in Auckland house prices to introduce two sets of controls on Loan to Value Ratios in the last three years. Economists expect the Reserve Bank will have to cut the Official Cash Rate twice more in 2016 to 1.75% to meet its inflation targets, which would push fixed mortgage rates well below 4% and pour more fuel on the fire in that ‘halo’. That’s why economists began talking in April about the possibility of a third round of lending restrictions later this year. They could include extending the 70% limit for rental property investors beyond Auckland and/or lowering the limit for Auckland investors to 60%. The Reserve Bank will have its first chance in a while to talk about this when it publishes its half-yearly Financial Stability Report on May 11. Banks may not find it so easy to refuse to pass on all of further cuts this year, possibly as early as April 28. Those funding costs have dropped sharply through March and April. Inflation remains weak and deflationary headwinds continue to blow from the rest of the world, pushing down on interest rates. The Reserve Bank is expected to cut by a further 50 basis points this year, possibly starting as early as April 28, and certainly from June 9. Auckland’s housing market roared back with a vengeance in March and the ‘halo’ effect is spreading double digit house price inflation around the country. Economic growth is solid at 3% and net migration is at 100-year highs. The Reserve Bank may choose to bring in a third round of lending controls to stop future rate cuts from adding fuel to the house price inflation. It may suggest or announce them on May 11. In line with other recent data, the Reserve Bank’s residential mortgage lending statistics for February 2016 indicate the housing market’s summer slowdown is over. There was a noticeable pick-up in lending across the board – including investor lending – following several months in which it trended downwards. Total new bank lending came to $5.1 billion in February, according to the RBNZ data. This was a jump up from the $4.1 billion total lending in January, although well short of the $6.4 billion mark hit in November last year. Of the new lending in February, investors accounted for $1.7 billion. This was up on the January figure of $1.3 billion. The biggest group of borrowers was other owner-occupiers, who accounted for $2.7 billion of new lending in February. This was up on $2.2 billion in January. First home buyers accounted for $591 million of new lending in February. This was up on the $459 million they borrowed in January. This suggests that market may have adjusted to the government’s new tax measures, which came into force last October, and the RBNZ’s new LVR ratios, which came into force last November. Investors’ share of higher than 80% LVR lending rose to $34 million in February, from $26 million in January. However, the investors’ figure was significantly less than the amount of higher than 80% LVR lending that went to first home buyers ($195 million) and other owner-occupiers ($207 million). In the RBNZ data, total lending to investors is also divided into two categories: higher than 70% LVR lending and less than 70% LVR lending. Higher than 70% LVR lending to investors came to $622 million in February. This was a noticeable increase on the $438 million loaned in January. But the bulk of lending to investors in February was, again, less than 70% LVR lending. It came in at $1.1 billion. The RBNZ data also shows that banks have continued to stay within their 10% threshold for lending to borrowers with less than 20% equity. In February, 8.5% of new loans fitted into that category. This was up on 8.3% in January. You may be wowed by builders’ 5% deposit options, which is common in the market place. However it is slightly misleading. Although they (the building company) may only require a 5% deposit you will be highly unlikely to secure finance for only 5% especially on a build. Ask yourself the question where is the shortfall coming from? In reality you will likely need between 10 – 20% deposit depending on your situation. We recommend talking to us before you begin looking for builders so you are armed with a pre-approval from the lender and know what your budget is for the build. When you build, your home loan is approved for the full amount, but you draw it down in instalments as the building work progresses. Therefore, it is essential to get a fixed priced contract which sets out a progress payment schedule. Building is a very exciting process when armed with the right information and realistic expectations on not only what you can borrow but the whole build process. Advanced Mortgage Solutions have helped hundreds of people secure the finance to build their new home, call us today to find out how we can help you. We are hearing murmurings that the Official Cash Rate (OCR) is set to drop again during the second half of 2016, possibly taking it to a new low of 2%. This will put pressure on banks to reduce floating and short-term fixed mortgage rates. With this in mind we want to make sure you are in a position to take advantage of these reductions. Although the one to two-year fixed rates are the cheapest rates at most main banks right now, around 1% below the floating rate, they may be a little too long to take advantage of the forecasted reductions in the OCR. So borrowers can create some certainty, and obtain a lower rate by fixing for short terms rather than floating. If the RBNZ cuts rates further this year, there is some scope for floating and some short-term rates to be lower later this year. However, if the RBNZ does not cut interest rates further short term rates may rise from these levels. When choosing a mortgage, it’s not just about finding the cheapest rate. To ensure you are getting the best out of your mortgage it is wise to have a mixture of all the options available from NZ lenders. One characteristic of a floating mortgage is borrowers can enjoy a certain amount of flexibility with the loans repayments, allowing for a minimum monthly repayment or a larger repayment if you are having a goods month. Splitting the mortgage into different terms, or a mix of fixed and floating mortgages, are strategies that allow some flexibility while locking in some interest rate certainty. With the downward trend of interest rates we are getting a lot of enquiries about breaking loans. Many customers believe they can save money by breaking their existing loans, unfortunately in our experience this is seldom the case. We urge you, your friends and family to contact us first before looking to break any of your existing home loans, so we can negotiate with the lenders before making a decision. Why choose us over the banks? Good question. The easy answer is we are unbiased, we research and present multiple options. The result is - YOU WIN! Personal and better service - our business depends on you, you’re not just a number. You get to skip the tiers of call centre options and talk to a human being, you even have access to our mobile, how refreshing is that. Higher skillsets – we are skilled up to know the full process, minimising the frustration of call centre staff that are inadequate in servicing your needs. Experience – this is all we do. The benefits are many and easy to realise. There’s a clear winner, but what is critical, is that you perform your own due diligence, check us out, ask for referrals and decide if we best suit you. A good mortgage broker will become an ally and confidant, we are specialists in our field. 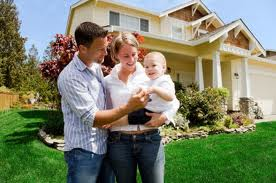 So whether you are looking for a first home loan, investment property loan or refinancing. Clever research and engaging Advanced Mortgage Brokers can save you time, money, and best of all deliver you an exceptional financial outcome. In June 2015 The Credit Contracts and Consumer Finance Amendment Act (commonly known as the Responsible Lending Act) and its code of practice came into force. All lenders now have to meet the responsible lending obligations outlined in the Act and Responsible Lending Code. This puts New Zealand in line with international best practice but comes with a new set of challenges for lenders and ultimately some extra hoops to jump for borrowers. So what are the key lender responsibilities? - Lenders must treat borrower and guarantors reasonable and ethically, including when breaches occur, when unforeseen hardship is suffered and during a repossession process. - Lenders must make reasonable inquiries to be satisfied the credit-related insurance will meet the borrower’s requirements and the borrower will be able to make payments without undue hardship. Lenders must meet all other legal obligations – including under the Fair Trading Act and the Consumer Guarantees Act. To ensure you put the best possible application forward when securing a home loan, always use a mortgage broker. This is what we are trained in, we know the pitfalls, what criteria the banks are using. We are in your corner and work hard to get your application approved. Contact me today for a no obligation chat about your mortgage requirements. If you think this article could be of interest to someone else, please feel free to forward it to them. You may have seen plenty of commentary about further interest rate drops in the media over the last few months. There are signals from the Reserve Bank that further drops in the Official Cash Rate (OCR) will be likely towards the end of the year. So what is causing the drop in rates? Slowing of economic growth has been cited as a reason, due to falling dairy prices along with the Christchurch Rebuild appearing to have peaked. Inflation has remained unremarkable at 0.3 percent, which is below the Reserve Banks 1 – 3 percent target. The Reserve Bank forecast inflation would rise by early 2016 because of the fall in the dollar, though it was unsure how quickly that would flow through into higher prices. The lower dollar will help exporters compete against their foreign rivals but the Reserve Bank believes the currency will fall even further given the weakness in commodity prices. House prices are also pretty static apart from Auckland and certain parts of Christchurch. The Reserve Bank is introducing measures to curb riskier lending, for Auckland at least the only solution to the rapidly increasing prices is to build more houses. Economists are mixed about how low The Reserve Bank will go, some analysts are picking that the OCR will head back to its record low of 2.5 percent, although we wouldn’t be surprised to see it hit 2 percent by the end of the year. So what does this all mean for your mortgage? Give me a call or reply to this email and I’ll talk you through it. There has been a lot of media attention on interest rates lately, with another cut in the Official Cash Rate to 3.00% people are beginning to question their mortgage decisions, specifically whether or not to break out of their fixed term rates and either float or fix at a lower rate. Fixed rates are a good way to budget your mortgage however you cannot always make extra payments or pay off your loan without generating a ‘break fee’. It has been very attractive for home owners to fix for longer lengths of time. Fixed rates have been a way to lock in a perceived ‘good’ rate for a longer period of time. Hopefully riding out any increases along the way. With this continued reduction in rates those on longer 3, 4, 5 year fixed terms are now looking at other options, especially as the floating rate is around the 6% mark which may be less than the older fixed rate. Although floating rates change depending on the Official Cash Rate (OCR) they are a lot more flexible than a fixed rate. You can pay off more of your mortgage without any financial penalties that would occur on a fixed rate. For instance if you wanted to add an extra $100 per month to your mortgage payments, you can do this on your floating rate and enjoy the interest you will be saving in the long run. A structured mortgage that has a mix of floating and fixed rates can ride out the interest rate changes. Although you may end up paying a bit more to float your loan, you can still take advantage of the floating loans ability to make extra payments should you wish to pay more off and save in the long-term. For those that have signed up for a fixed rate and want to ‘break’ this mortgage to take advantage of the lower rates, you would want to make sure that the savings are substantial enough to warrant the break fee. Banks use a complex formula to work out break fees and I recommend you give us a call to discuss this. 18 months ago John and Mary had a $200,000 home loan with 25 years left in its term, and they signed a contract for a fixed rate of 7% for 3 years. Their regular repayments are $1,414 per month. They now have another 18 months left to run on their fixed rate home loan. If they break their home loan now the fixed rate break cost will be approximately $14,500. John and Mary decide to pay off their loan in full because they sell their home, and do not repurchase. The break cost will need to be paid immediately. John and Mary decide to break their fixed rate home loan because they want to go to a new lower rate of 18 months at 5.85%. The break cost will need to be paid immediately. Their monthly regular loan repayment will reduce by $144 per month and they will save approximately $2,592 in interest over the next 18 months. John and Mary decide to break their fixed rate home loan because they want to go to a new lower rate of 18 months at 5.85%. However they can't afford to pay the break cost upfront, so they decide to increase their loan to cover the cost. Their monthly loan repayment will reduce by $52 and they will save $936 in interest over the next 18 months. However, at the end of 18 months their loan will be almost $14,500 higher. The above scenarios are demonstrative examples and do not take into account your personal situation or goals. Every loan transaction differs, so please feel free to contact us to review your specific loan situation. To see if it is worth breaking your loan please contact us and we can approach the lender to ascertain whether it’s mathematically worth it or not.